Home » Cheap and Good? » The Inkey List Hyaluronic Acid is not in the least bit ordinary! The Inkey List Hyaluronic Acid is not in the least bit ordinary! 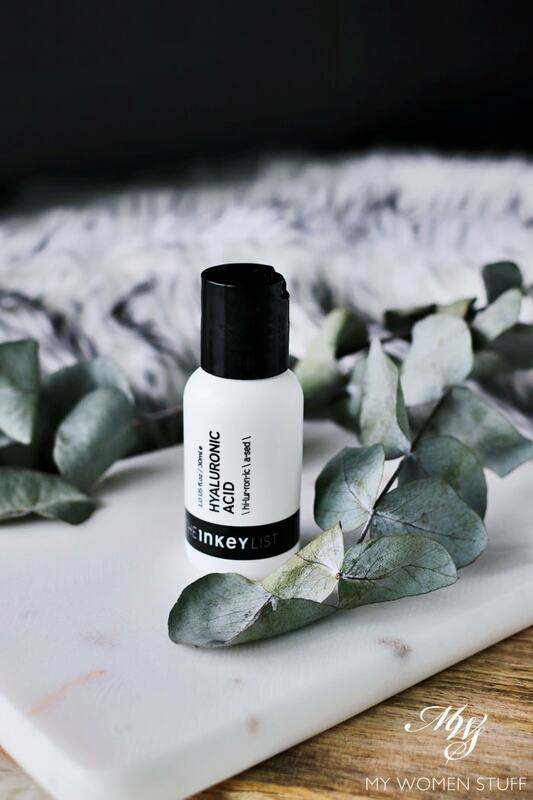 The Inkey List is a brand new budget skincare brand on the block. When I shared how impressed I was with their Turmeric cream moisturiser, I also told you that I plan to have a very big overview post to come. I still plan to do so. But I also wanted to tell you about The Inkey List Hyaluronic Acid, because I felt it noteworthy. By now, most of us will be familiar with this skincare ingredient. But if you aren’t, hyaluronic acid is an ingredient which helps bind and hold moisture, which in skincare products, help hydrate and plump up the skin. Many skincare products these days contain this ingredient. I am very big on maintaining skin hydration, so for me, a lotion or serum with hyaluronic acid is a must in my skincare routine. I’ve also shared my tip on how best to use a hyaluronic acid serum effectively. The first thing I’d note is that The Inkey List Hyaluronic Acid serum comes in a 30ml size. The plastic bottle is very small, and very utilitarian. The cover has a press down flip-top mechanism which is fairly basic. No fancy glass bottles or droppers like that of The Ordinary. 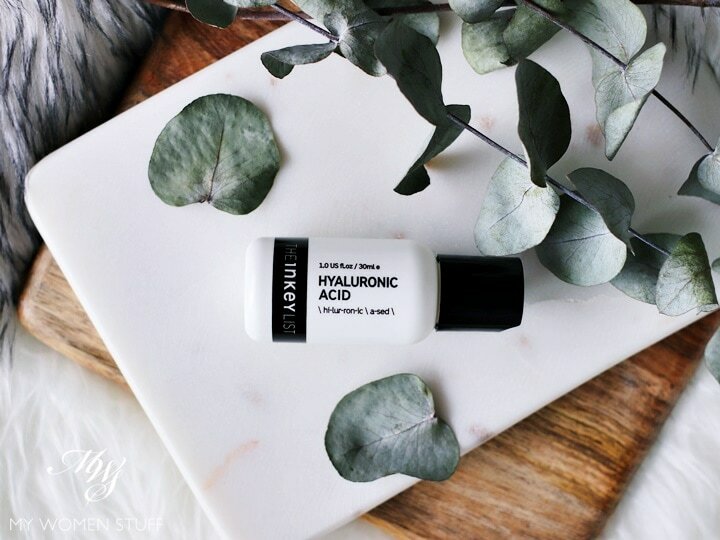 The Inkey List Hyaluronic Acid contains 2% hyaluronic acid of 3 different molecular weights, so it hydrates your skin at the different levels, depending on how far it can sink. This helps the product work more effectively on your skin. 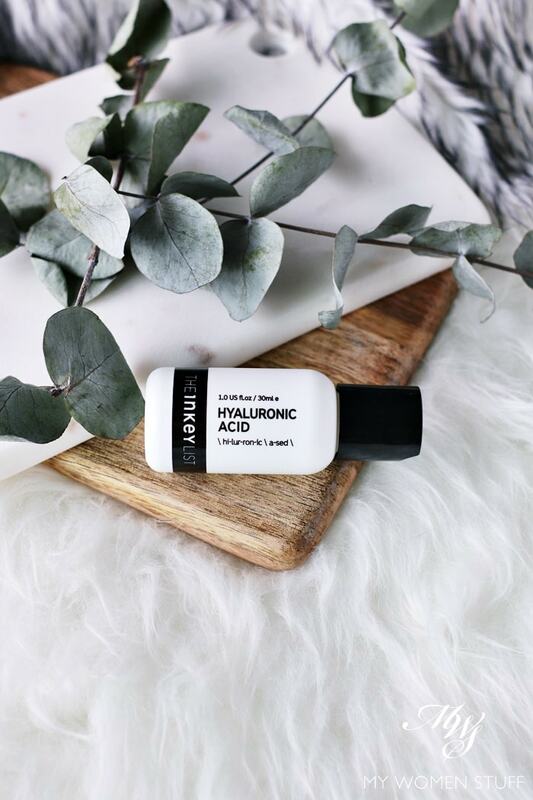 In addition to just hyaluronic acid, The Inkey List Hyaluronic Acid also contains Palmitoyl Tetrapeptide-7 and Palmitoyl Tetrapeptide-1, which are peptides that form Matrixyl 3000, an ingredient that aids with collagen production. What this means is that this hyaluronic acid is a little more than just your regular hyaluronic acid serum. The texture is a clear, rather viscous lotion. Not unusual in a hyaluronic acid serum formula. I usually drop about 2-3 drops (The Inkey List recommends a pea-sized amount, and it is about that) into the palm of my hand, before applying to my skin. Is The Inkey List Hyaluronic Acid serum sticky? The first thing I’d note is the formula and texture. Unlike The Ordinary 2% Hyaluronic Acid serum, I find that The Inkey List Hyaluronic Acid serum does not feel sticky on the skin. With the former, I usually apply it, then pat it on for a while to help it absorb better. I also find that it mixes well with other products. I usually mix this with the Vitamin C serum, to make the texture more pleasant, and it works very well. It is also quite easy to see how effective a hyaluronic acid serum is. If your skin stops feeling dry or dehydrated, your fine lines look less noticeable, skin looks more plumped, chances are, it’s working. I know of the odd person who has told me that their skin does not like hyaluronic acid, but I believe it is not common. I love The Inkey List HA serum! For me, this fits into my daytime skincare routine, because I feel that my skin needs to retain more moisture when it’s so hot outside. I sometimes use it as part of my evening routine as well, but it quite literally fits into any skincare routine, for any skin type. It is actually quite basic, and that’s why I like it! The Inkey List Hyaluronic Acid feels comfortable, and works without any bells and whistles. It keeps my skin nice and hydrated, and if the Matrixyl 3000 peptide is working to boost collagen production, then all the better! 😀 Sometimes, simple is good. The Inkey List Hyaluronic Acid serum is a basic and simple to understand serum. Use this for all skin types in your day and night routine to combat dry and dehydrated skin. We all suffer from some form of dryness and/or dehydration, no matter the skin type. The formula is simple, and the texture is comfortable. It absorbs easily into skin with no greasiness or stickiness at all. It makes skin feel plumped and healthy and keeps dry spots at bay. I’m very happy with it! WHO WILL LIKE THIS: Anyone who appreciates a good, simple hyaluronic acid serum that just works! This is the full ingredients list for The Inkey List Hyaluronic Acid serum. I’ve used both and my preference lies with The Inkey List. While I like the packaging of The Ordinary, which looks far more luxurious than the price belies, I believe it is what is inside that counts and in this instance, The Inkey List wins. Accidents are also less likely with The Inkey List’s less than fancy packaging. Both serums contain 2% hyaluronic acid. But the formula of The Inkey List is much more elegant. It feels more comfortable, and does not feel sticky. The Ordinary is thicker, more goopy and feels sticky till you pat it in. Are you intrigued by The Inkey List yet? What’s your favourite hyaluronic acid serum? This may not be the case for everyone, but I actually like products with fuss-free utilitarian packaging! How does this serum compare to the Hada Labo Gokujyun lotion/essence which is much more accessible here in KL? Utilitarian packaging has its place, I’d agree! As for how it compares to HL lotion, I’d say it’s different, in the sense that this is more of a serum so I’d put it on a similar footing with the HL Essence/Serum. Function-wise it will perform a similar function i.e. to hydrate the skin. There are many hyaluronic acid serums in the market today and many good ones. Anything accessible is of course, best! The Ordinary now cannot be shipped to Malaysia by CultBeauty, so sad! Gotta order from Asos instead. Oh dear! I didn’t realize that! 🙁 I wonder if it’s to do with the number of IG resellers here. I have seen many people running a lucrative business selling TO products. Asos has a smaller selection don’t they? But at least there’s an option! Kind of glad I don’t use the brand anymore haha! Thank you for your review. I was looking at Filorga Hyal product (10x the price point of this product). Do they compare? Hi dear, thanks for the review. I’m going to add The Inkey List HA to my HA serum to try list now! But have you ever tried Vichy Mineral 89 and Sun Society HA before? I recently tried the Vichy Mineral 89 (& had high hopes for it), but ended up returning it. I found it to be a bit less tacky than The Ordinary’s, but my goal was to have one that didn’t have that tackiness (that my ‘green brand’ foundation would apply smoothly over). Unfortunately, didn’t work for me, but it would be find for PM. TO was still cheaper anyway. This inkey list HA is the best serum I’ve tried! It made my pores smaller and has a botox effect.